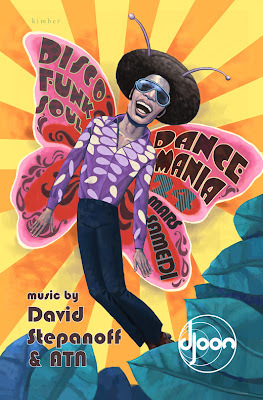 RICHARD SOLOMON ARTISTS REPRESENTATIVE: Murray Kimber - Dance Mania! The famous nightclub in Paris, Djoon, commissioned Murray Kimber to create a image for a poster promoting their "Dance Mania" event. Murray's piece came out colorful and energetic, making us wish we were able to attend.